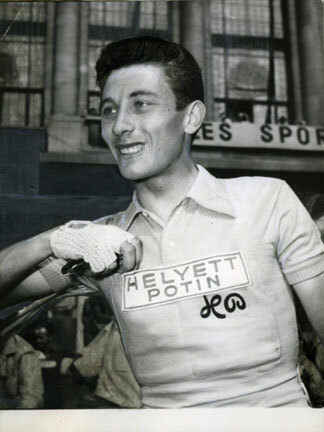 Maitre Jacques rode for Helyett, 1956-'58. With only nine days until the Tour, my mind keeps jumping to one of the greats who excelled ...in July. The rider that comes to mind is the legendary Jacques Anquetil. Monsieur Chrono was his nickname for his virtuoso time trialing skills. He turned professional in 1953 with French team named "La Perle" (the pearl) and duly won the Grand Prix des Nations. In 1957, riding for Helyett, he conquered his first Tour de France, won the stage into his hometown, Rouen, and went on to win the race overall. 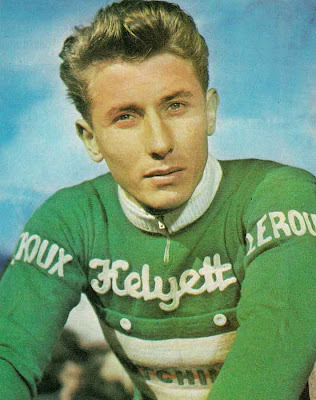 "In the green and white jersey of Heylett Leroux, was the sleek slender figure of Jacques Anquetil. 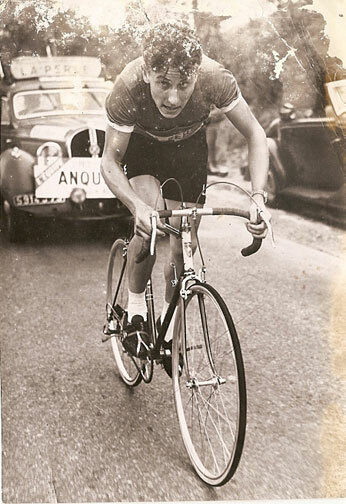 There was something feminine about Anquetil's slim physique that belied his wonderful masculine strength and courage. I ended up 7th to Anquetil's 2nd. My clearest memory is of Anquetil himself. An Apollo of the beautiful machine. 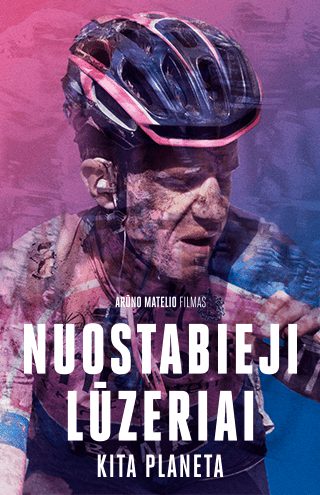 With his pedaling action so rapid, precise and apparently effortless, was all minimalist elegance." Anquetil won five Tours, the first Frenchman to do so, with his time trialing skills. 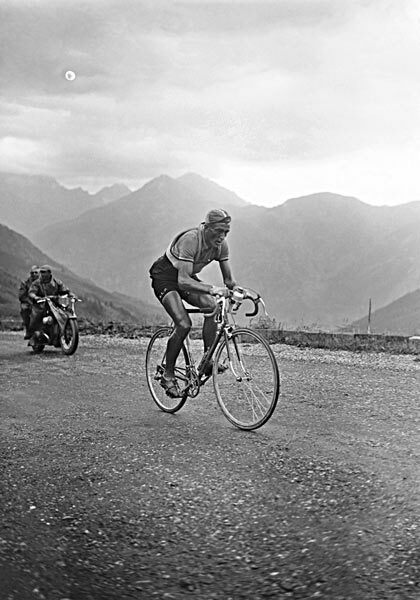 He was a colossus against the clock breaking Fausto Coppi's fourteen year old 1956 world hour record and he won the Grand Prix des Nations Time Trial a record nine times. 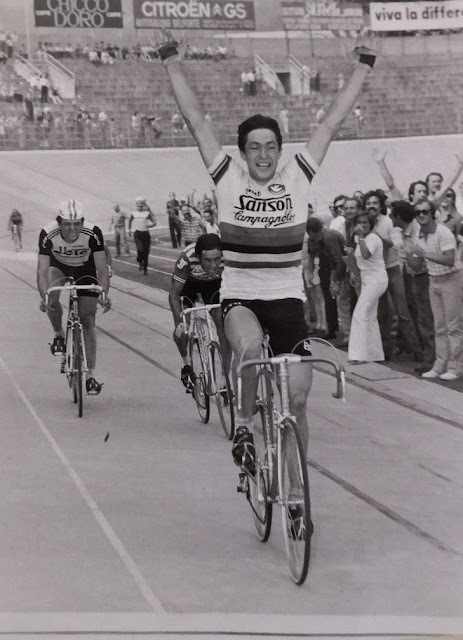 Tony Hewson was one rider that rode against Anquetil and wrote, "As we crouched and crossed in the line out, buffeted by the wind, the flowing trick of rain and light made it hard to distinguish where the man ended and machine began. It was as if they had been forged together at birth from the same shining material."